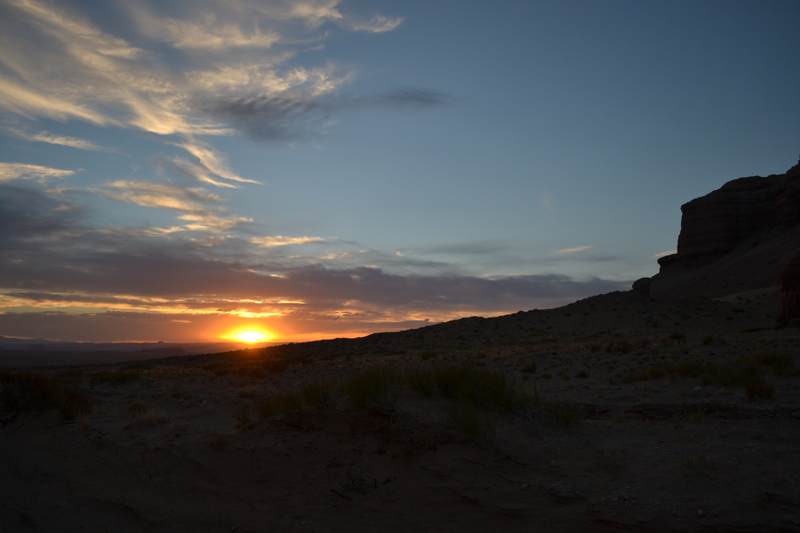 My grand introduction to technical canyooneering took place in Robbers Roost Country in southeastern Utah in an area west of Canyonlands National Park and east of Goblin Valley State Park. The area is called Robbers Roost because it is where robbers would literally roost, hiding from the law. Butch Cassidy and the Sundance Kid were particularly fond of this area. 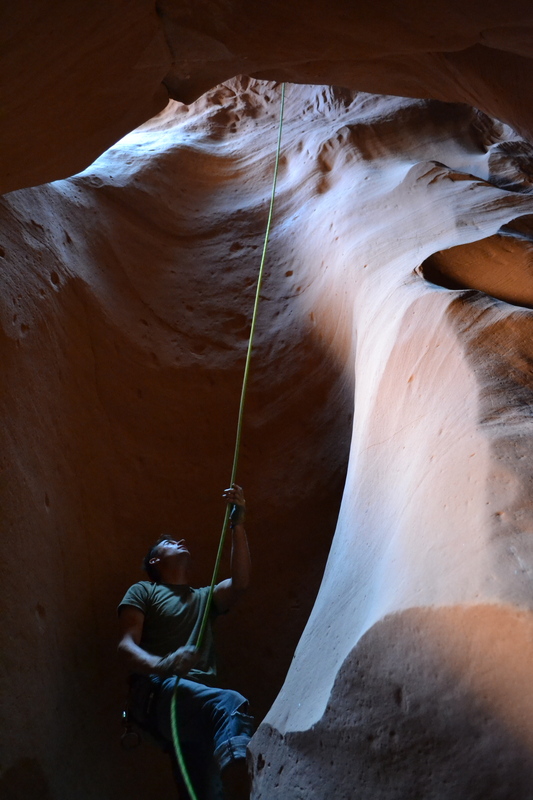 On day one we hiked and rappelled through West Fork of White Roost Canyon. 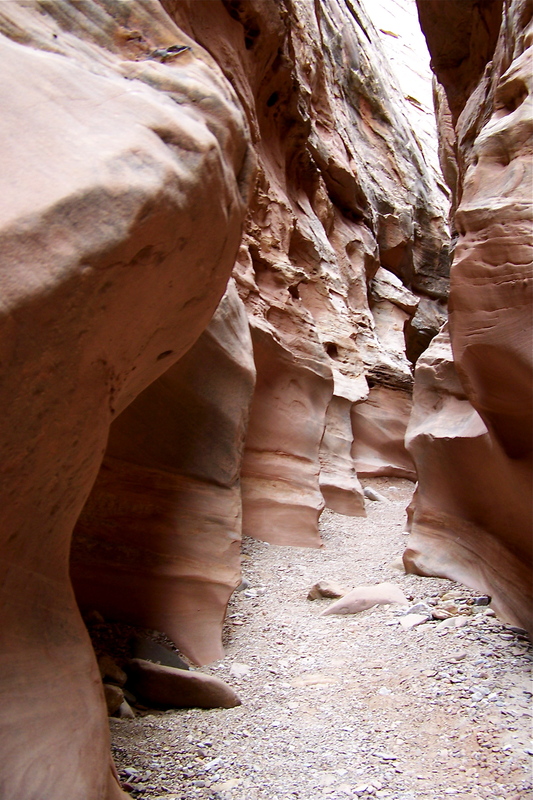 Day two was the Little West Fork and Main Fork of Blue John Canyon. 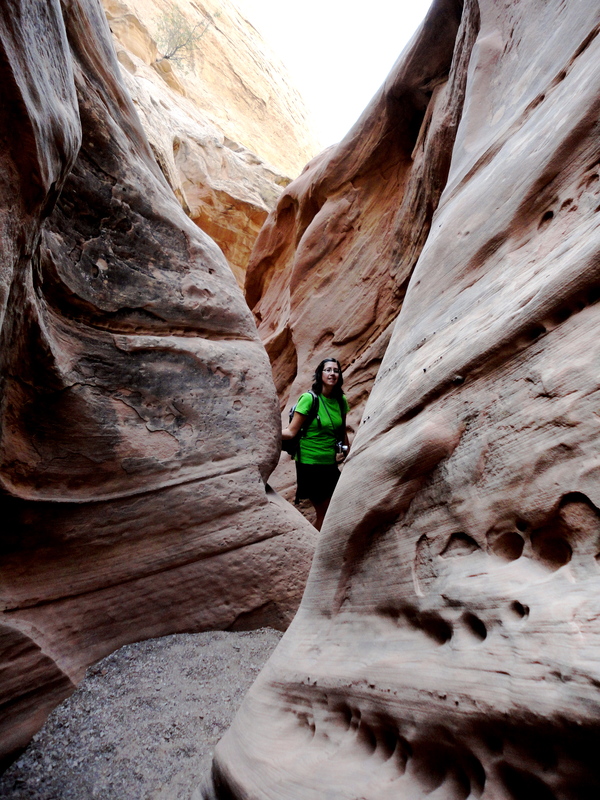 Blue John Canyon may actually sound familiar to you. 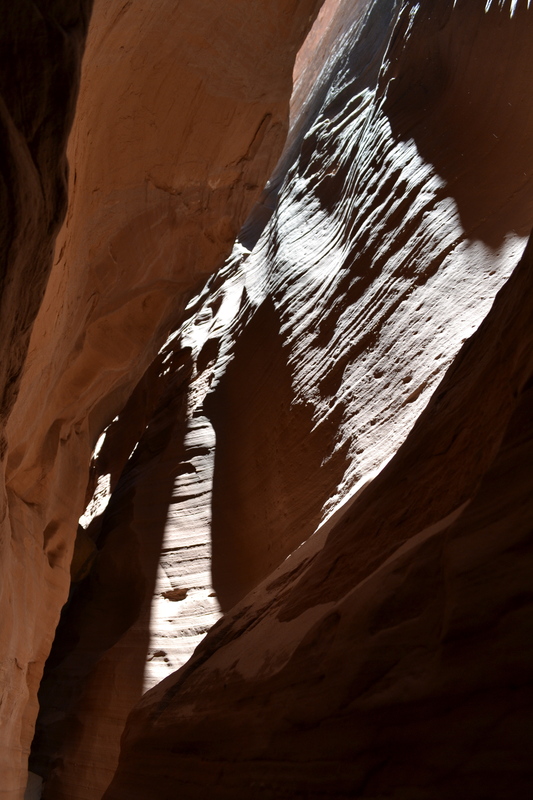 If you’ve seen the movie 127 Hours, heard of Aron Ralston or read his book Between a Rock and a Hard Place, Blue John Canyon is the place where he got stuck between a chockstone and a wall and had to cut his arm off to survive. We did not go through the particular slot he was in, but curiosity will get the best of us someday and we will go check it out because his chockstone is marked on the map. 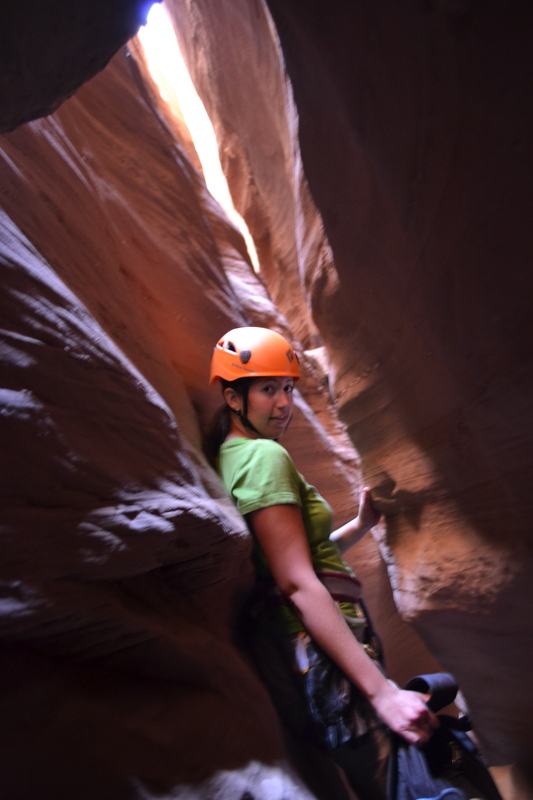 To read more about my experience canyoneering, click here: Learning to grow. 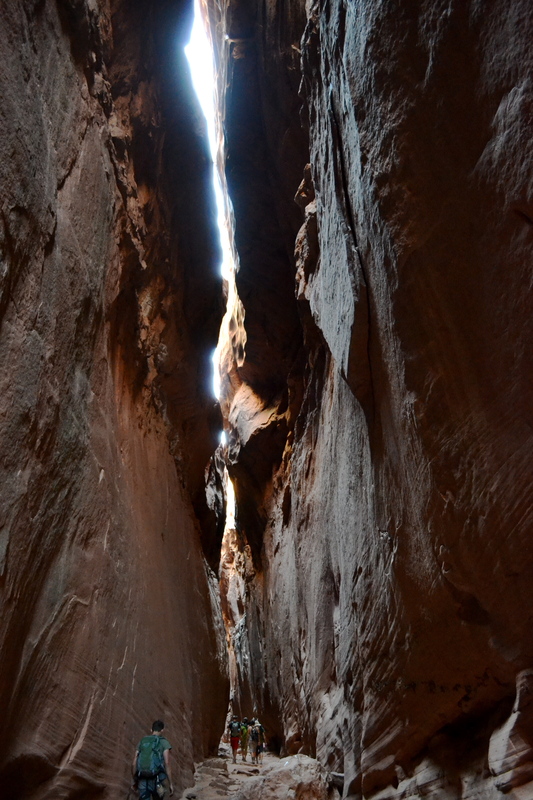 Neither of these canyons can be seen from the road, which makes the sights even more awesome. These are cut through the ground, so you do not see them until you are there upon them, looking down. 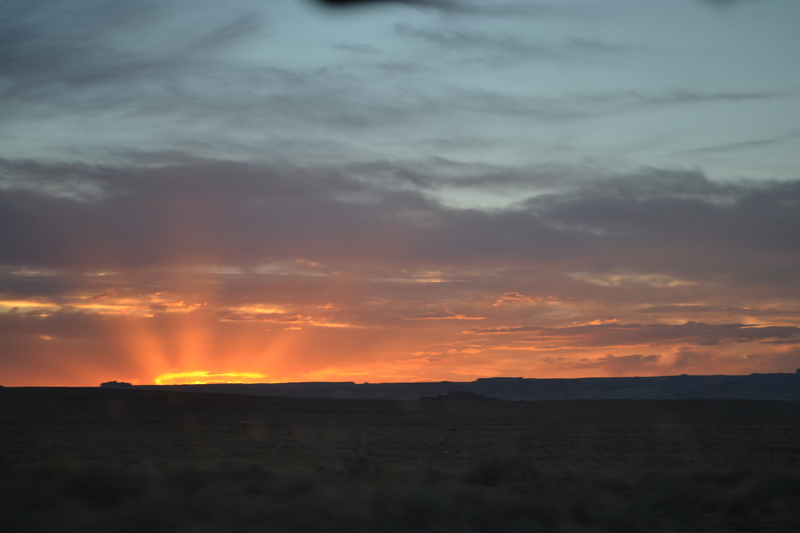 They are like Bryce Canyon National Park or the Grand Canyon; you are driving along the top of the plateau and then suddenly the ground opens and the sights unfold in front of you. But to truly appreciate these places, you must go down to see what they look like from there. 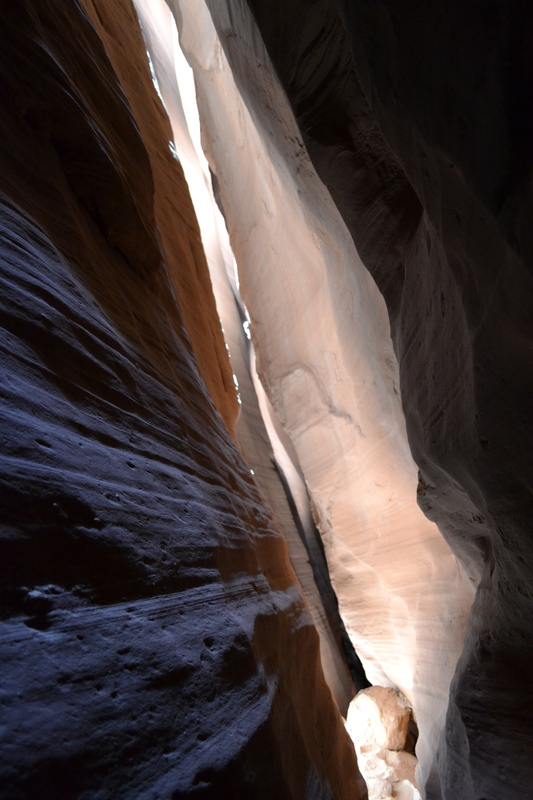 Slot canyons are still a bit different from these because they are narrow and viewing them from above gives you very little of the picture. 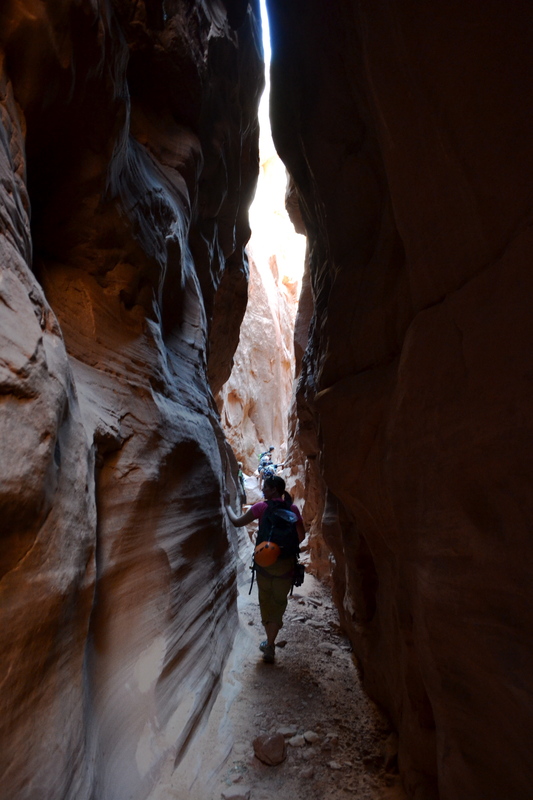 There are slot canyons where you don’t have to go down and do not require gear and therefore are not technical, like Little Wildhorse Canyon, a lovely, free and easily toured slot north of Goblin Valley. 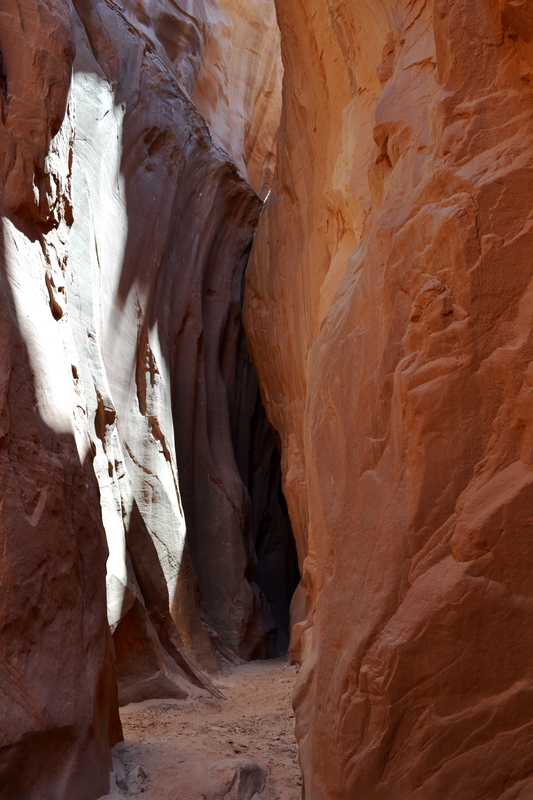 The most famous slot canyon in the world is like this too. 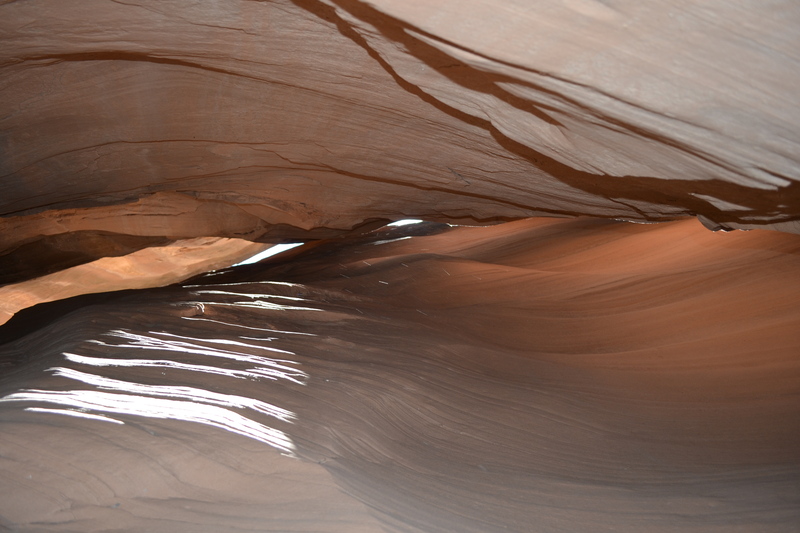 Upper Antelope Canyon is entirely at ground level and easily toured. Lower Antelope is like the Robbers Roost canyons, except that stairs have been built to get down and then up so that tourists can visit. 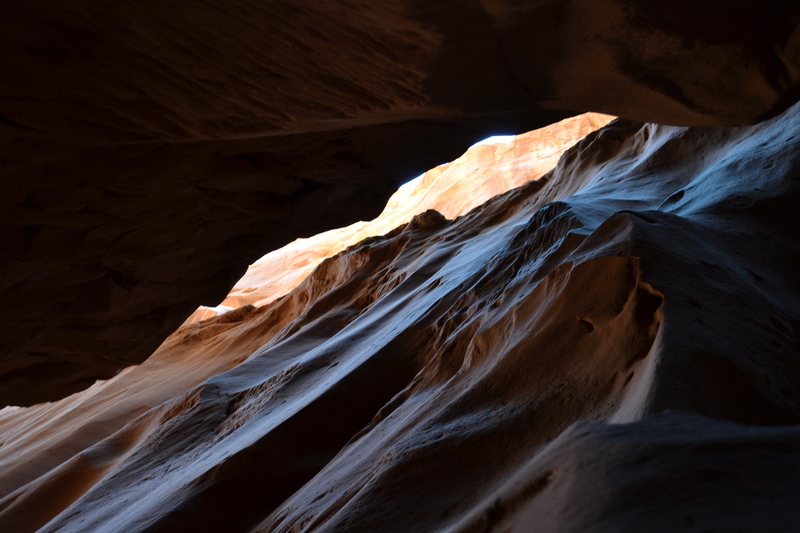 Antelope Canyon is located on Navajo land and requires a fee and guide. 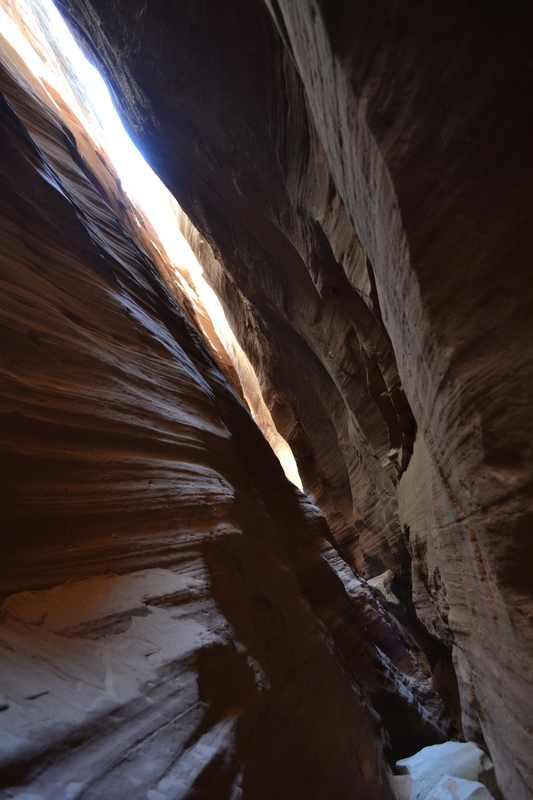 And now, here is what was beautiful about my first adventure into technical canyoneering. 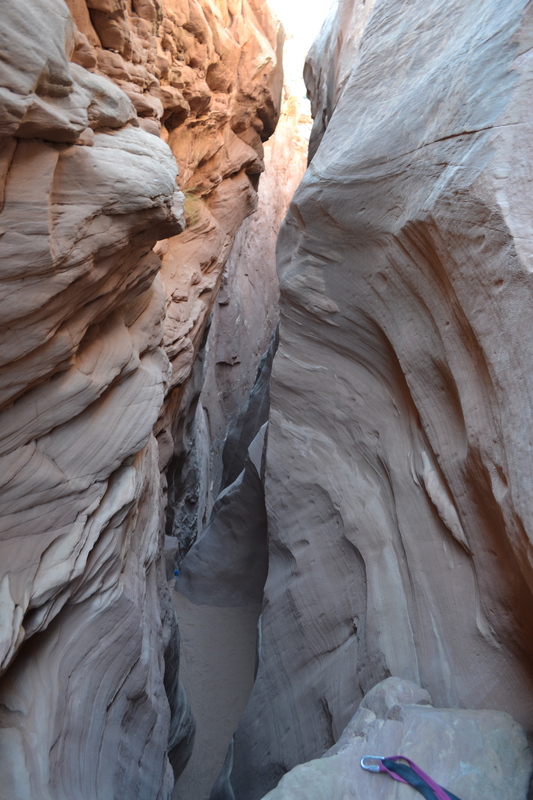 Main Fork of Little Blue John Canyon with the group ahead for a size comparison. 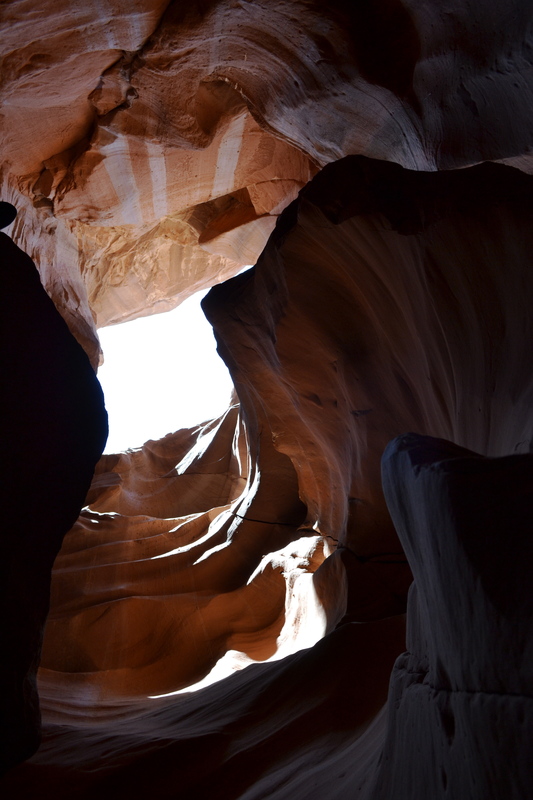 While we were canyoneering the second day, Jon and I encountered an owl flying directly at us, which we unfortunately do not have a picture of. The owl was stunning. 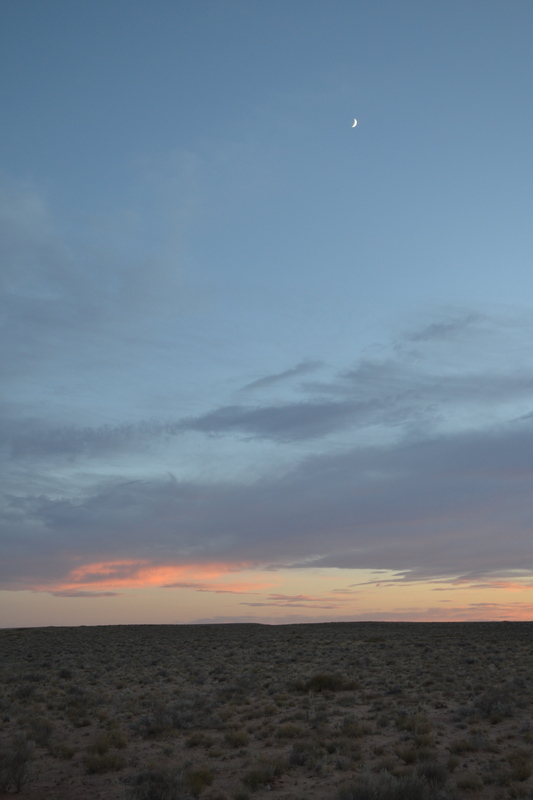 But nature’s next surprise of the day was a beautiful sunset with more clouds than we had seen in a week. 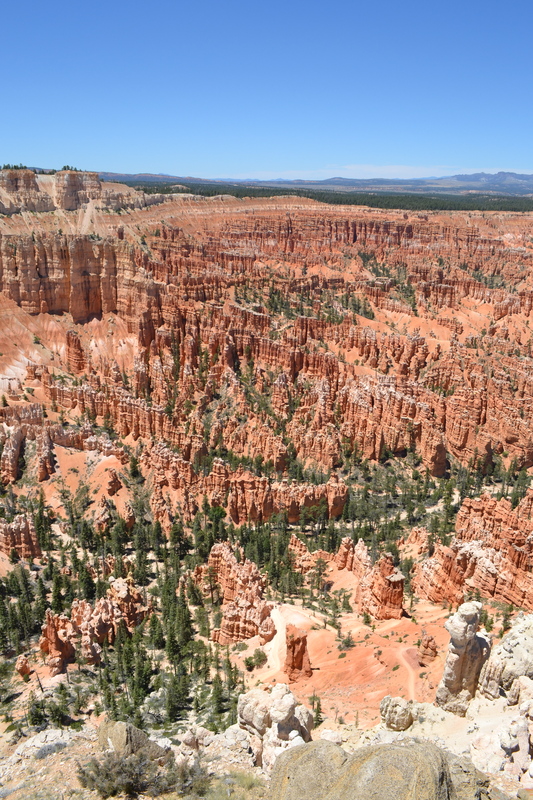 This entry was posted in North America, Photos, Travel Narrative, U.S. and tagged Aron Ralston, Bryce Canyon National Park, Canyoneering, Canyons, Fears, Goblin Valley State Park, Grand Canyon, Hiking, National Parks, Photos, Rocks, State parks, Travel, Trying something new, Utah. Bookmark the permalink.